David Graddol is a British linguist who has worked in applied linguistics, discourse analysis, sociolinguistics, and history of linguistics. Nowadays David Graddol is Director of The English Company (UK) Ltd and Managing Editor of linguistics books and journals for Equinox Publishing. 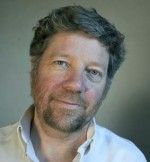 He is joint editor of the CUP journal English Today, and is on the editorial boards of several other journals. 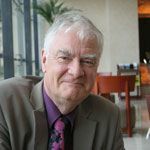 David’s publications include ‘The Future of English?’, a seminal research document commissioned by the British Council in 1997, and ‘English Next’ — published by the British Council in 2006. Kathleen Graves is Associate Professor of Education Practice at the University of Michigan. 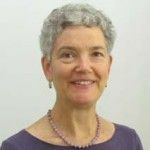 She has worked on curriculum renewal and language teacher education in the US, Algeria, Bahrain, Brazil, Japan, and Korea. Her research focuses on the role of classroom practice in curriculum renewal and supporting teachers’ professional development as central to successful educational and curriculum reform. Michael Hoey is a British linguist and Baines Professor of English Language. He has lectured in applied linguistics in over 40 countries. Hoey has authored a number of textbooks on linguistics including Signalling in Discourse (1979), On the Surface of Discourse (1983), Patterns of Lexis in Text (1991), Textual Interaction (2001) and Lexical Priming: A New Theory of Words and Language (2005), which proposes a new way of looking at language based on evidence from corpus linguistics. Hoey has had a long association with the University of Liverpool, where he began lecturing in 1993. He was Director of the Applied English Language Studies Unit between 1993 and 2003 and is currently Pro Vice-Chancellor for Internationalisation; between 2008 and 2009 he was Dean of the university’s Faculty of Arts. 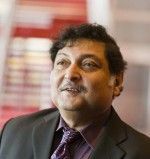 Sugata Mitra is Professor of Educational Technology at the School of Education, Communication and Language Sciences at Newcastle University, England. His interests include Children’s Education, Remote Presence, Self-organising systems, Cognitive systems, Physics and Consciousness. He is best known for his «Hole in the Wall» experiment, and widely cited in works on literacy and education. He is Chief Scientist, Emeritus, at NIIT. He is also the winner of the TED Prize 2013. Since the 1970s, Professor Mitra’s publications and work has resulted in training and development of perhaps a million young Indians. 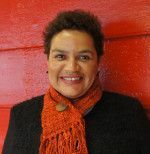 Jackie Kay is an award-winning writer of fiction, poetry and plays, whose subtle investigation into the complexities of identity have been informed by her own life. She was born and brought up in Scotland. The Adoption Papers (Bllodaxe) won the Forward Prize, a Saltire prize and a Scottish Arts Council Prize. Fiere, her most recent collection of poems, was shortlisted for the Costa award. Her novel Trumpet won the Guardian Fiction Award and was shortlisted for the Impac award. She was awarded an MBE in 2006, and made a fellow of the Royal Society of Literature in 2002. She is Professor of Creative Writing at Newcastle University. การประชุมนานาชาติ IATEFL, ซึ่งจะจัดขึ้นในปี 2015 แมนเชสเตอร์จะ 49y บัญชี ผมจะแจ้งให้ทราบวันที่ของการดำเนินงานของตนและลำโพงใหม่!